Ogio Men's OG101 Bright White Caliber 2.0 Polo Short Sleeve Shirt is going to work well for you in the office, on a jobsite or on the golf course. It's a comfortably designed shirt that has just the right amount of finishing touches to make it exceptionally versatile. 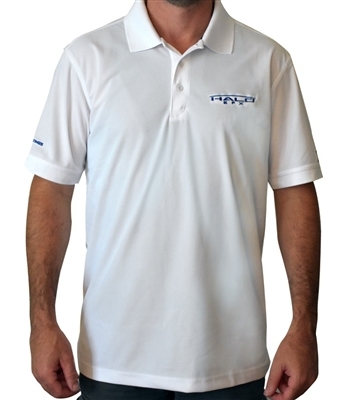 This simple white, 100% polyester polo shirt has a stay-cool wicking technology to keep perspiration away and help you stay comfortable. It also has side vents. The collar and cuffs on the Bright White Polo are ribbed knit to help keep their shape. And the triple-needle shoulders and hem will assist in lending durability to the garment.